Three-time Formula One World Champion Sir Jack Brabham has died, according to Australian media reports. He remains the only person ever to win an F1 championship in his own car. Brabham was 88. Among his other feats, he was also the first person to win an F1 championship with an engine behind the driver, which he did in 1959 with the Cooper T51. Oh, and he was also the first race car driver to be knighted after World War II. All that, from a guy who began his racing career in midget cars on Australian dirt tracks. Sir Jack Brabham is survived by his three sons, Geoff, Gary, and David, and their respective families. Geoff and David have both won at Le Mans. Gary won the 1991 12 Hours of Sebring. Banbury, Oxfordshire (UK) – Monday 19 May 2014: Sir Jack Brabham AO, OBE, triple Formula 1 World Champion, has died at the age of 88. Sir Jack passed away peacefully at his Gold Coast, Australia, home on Monday morning. Formula 1 World Champion in 1959, 1960 and 1966 and double Constructors' Champion (1966 and 1967), Sir Jack was one of the most accomplished drivers and team owners in the history of the sport. The first driver to be knighted for services to motorsport, 'Black Jack' rose from racing midgets on dirt ovals in Australia to dominate global motorsport. His first two titles in the Cooper Climax marked the end for front-engined Formula 1 cars. The third made him the only driver in history to win a World Championship in a car of his own manufacture, the Brabham BT19 – a feat unlikely to ever be repeated. Acclaimed as a brilliant engineer, technological innovations brought about by the Brabham team helped to shape the sport today. 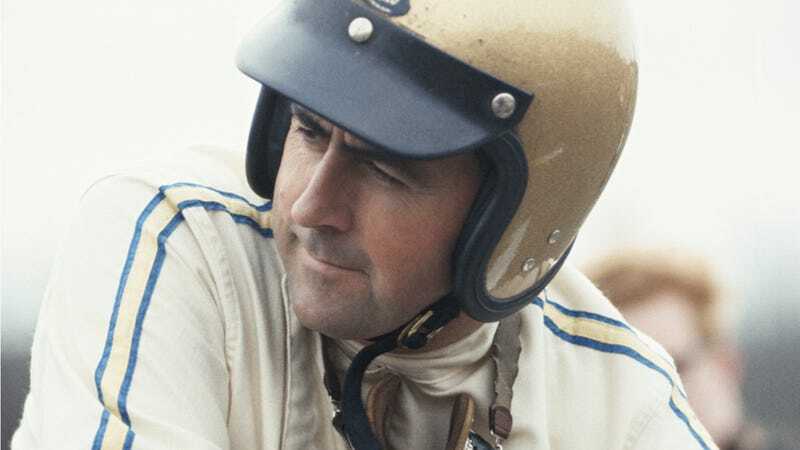 Through his partnership with Ron Tauranac, over 500 Brabham racecars were built from the team's British Surrey base in the 1960s alone, while the Brabham name continued in F1 for 30 years.Although Jack scored his final win in the 1970 South African Grand Prix, the legacy has continued with all three of his sons achieving their own global success, while third generation drivers Matthew and Sam are building their own notable racing careers. On behalf of the family, Jack's youngest son David said: "It's a very sad day for all of us. My father passed away peacefully at home at the age of 88 this morning. He lived an incredible life, achieving more than anyone would ever dream of and he will continue to live on through the astounding legacy he leaves behind." Sir Jack is survived by his wife, Lady Margaret, sons Geoff, Gary and David and their families.